All hands on deck! Miami Boat Show returns to our city this week from Feb. 15-19. Give your wardrobe a maritime makeover and navigate through this season’s hottest resort styles just in time for the weekend bash. While you explore the nautical depths of Miami’s boating scene, look the part in chic attire that’s perfect for the daytime events of Miami’s Boat Show. 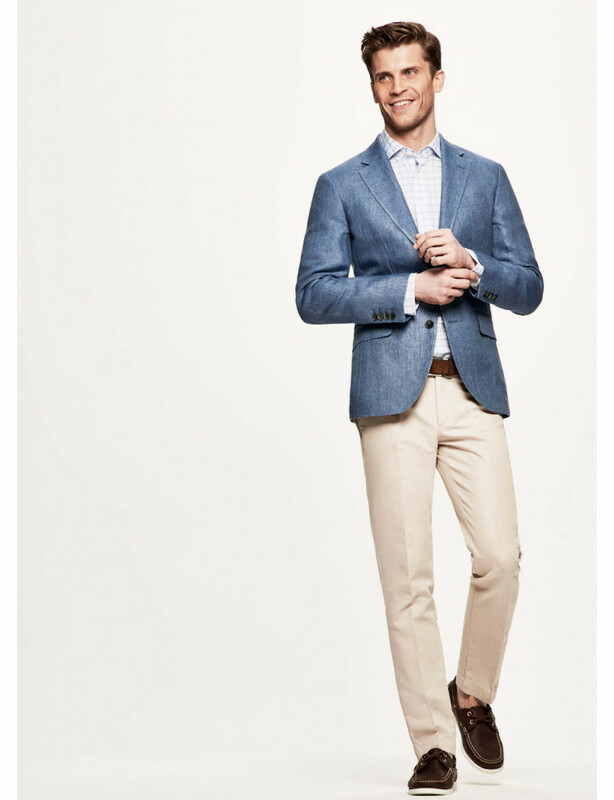 Hackett London’s blue jacket is ideal for men with discerning taste. The finely woven from linen uses a délavé technique to achieve its subtle, washed effect that is both casual and comfortable. 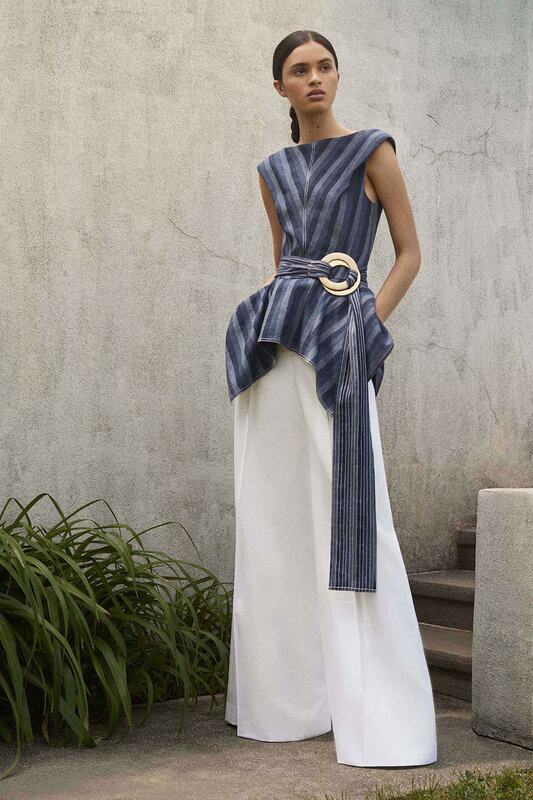 To match, Carolina Herrera’s wide-legged white pants and striped asymmetrical top are made for the most glamorous mermaids of the waters. Whether you were on the crew team at your Ivy League university or you just love a day sailing on the water, preppy picks are a no-brainer when it comes to boat show style. Lacoste’s sporty technical jersey is a comfortable and lightweight fit to keep you cool and classy under the Miami sun this weekend. 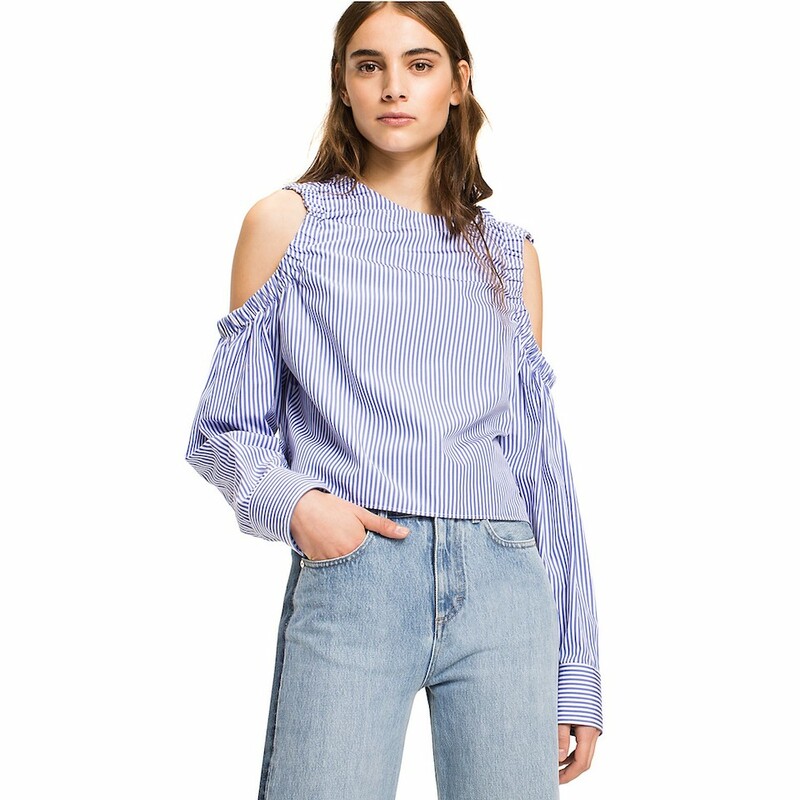 For a relaxed women’s look, don Tommy Hilfiger’s cold shoulder linen top. With full open-back exposure and a shoulder-baring silhouette, this simple style is elevated to a sophisticated staple that belongs in every woman’s wardrobe. Wanting to dive in to the crystal blues? 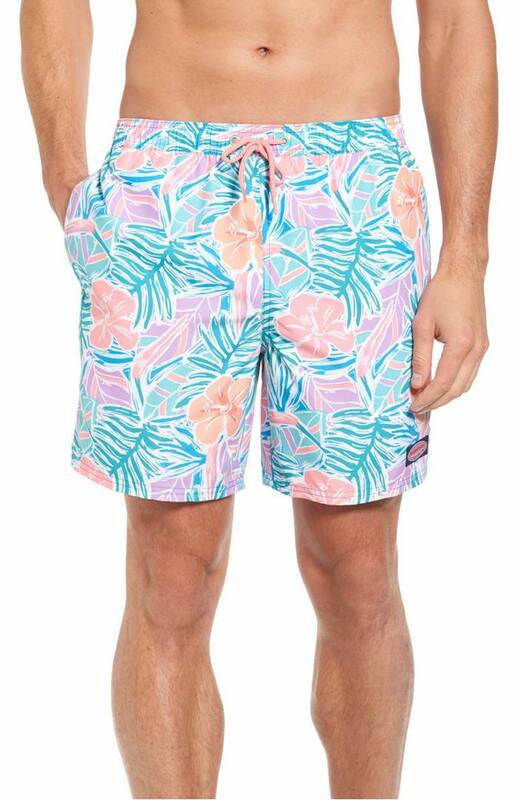 Slip into fashionable and relaxed beachwear, and be ready to layout. Be playful in pom-poms with Nanette Lepore’s festive and flirty cover-up. The array of rainbow tassels matches the colorful surroundings that create the masterpiece that is Miami Beach. Men can play with a bright palette as well in Vineyard Vines’ tropical tunic. You’ll look fresh and ready for a vacation in your own backyard. Be decked out on deck in styles that are just as sleek as the yacht you’re touring. 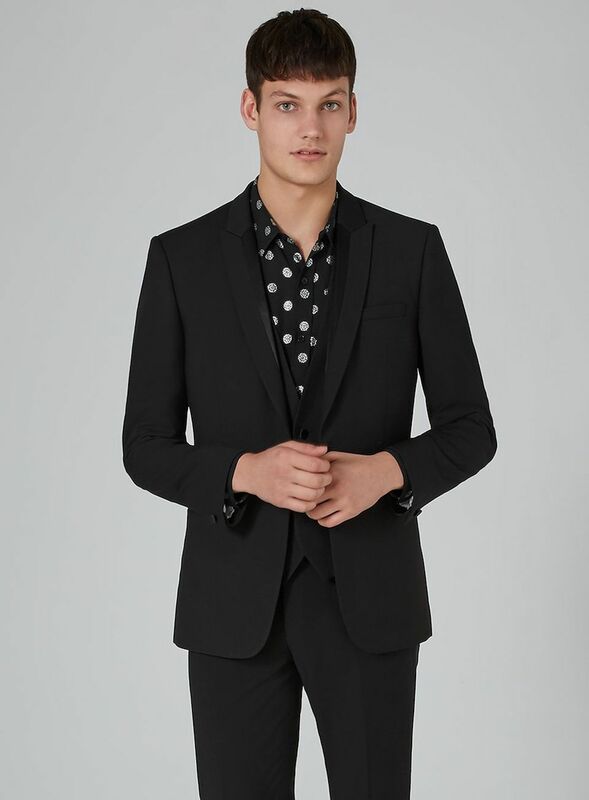 Topman’s black texturized suit will look smashing with the cerulean waters as your backdrop. For a pop of color, Red Valentino’s silk twill dress isn’t short of volume or vivacity. Perfect for the Miami party scene, this fiery amaryllis dress is a lightweight and luxurious. Just add a glass of Veueve Clicquot to accessorize!